Before starting azithromycin, non-tuberculous mycobacterial infection must be ruled out in any patient with clinical or radiological suspicion. If non-tuberculous mycobacteria are isolated, azithromycin should not be indicated, because this would constitute monotherapy.14 Prolonged treatment with macrolides has been shown to increase resistance to Haemophilus influenzae, Staphylococcus aureus, and Streptococcus pneumoniae, and this phenomenon should be evaluated in future studies. Inflammation: a two edged-sword-the model of bronchiectasis. Inmunity and bacterial colonisation in bronchiectasis. D. De la Rosa Carrillo, C. Prados Sánchez, S. Quirós Fernández. Epidemiología actual y costes de las bronquiectasias. M.A. Martínez-García, D. de la Rosa Carrillo, J.J. Soler-Cataluña, Y. Donat-Sanz, P.C. Serra, M.A. Lerma, et al. Prognostic value of bronchiectasis in patients with moderate-to-severe chronic obstructive pulmonary disease. Exacerbations – 4 non-CF bronchiectasis. J. Angrill, C. Agustí, R. de Celis, X. Filella, A. Rano, M. Elena, et al. 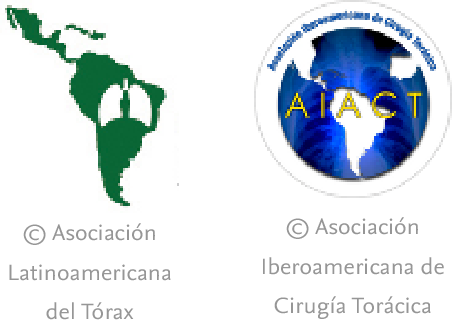 Bronchial inflammation and colonization in patients with clinically stable bronchiectasis. M.C. Alanin, K.G. Nielsen, C. von Buchwald, M. Skov, K. Aanaes, N. Høiby, et al. A longitudinal study of lung bacterial pathogens in patients with primary ciliary dyskinesia. M.R. Loebinger, A.U. Wells, D.M. Hansell, N. Chinyanganya, A. Devaraj, M. Meister, et al. Mortality in bronchiectasis: a long-term study assessing the factors influencing survival. C.L. Cramer, A. Patterson, A. Alchakaki, A.O. Soubani. Immunomodulatory indications of azithromycin in respiratory disease: a concise review for the clinician. L.C. Fan, H.W. Lu, P. Wei, X.B. Ji, S. Liang, J.F. Xu. Effects of longterm use of macrolides in patients with non-cystic fibrosis bronchiectasis: a meta-analysis of randomized controlled trials. Effect of azithromycin maintenance treatment on infectious exacerbations among patients with non cystic fibrosis bronchiectasis: the BAT randomized controlled trial. R. Girón Moreno, C. Gómez González, L. Máiz Carro. C.S. Haworth, D. Bilton, J.S. Elborn. Long-term macrolide maintenance therapy in non-CF bronchiectasis: evidence and questions. S. Hodge, H.B. Tran, R. Hamon, E. Roscioli, G. Hodge, H. Jersmann, et al. Nonantibiotic macrolides restore airway macrophage phagocytic function with potential anti-inflammatory effects in chronic lung diseases. Please cite this article as: Casas-Maldonado F. Bronquiectasias y azitromicina. Arch Bronconeumol. 2018;54:61–62.